If you are considering quitting your job, you are not alone. The old business model where people stayed in one job for their entire career has changed. 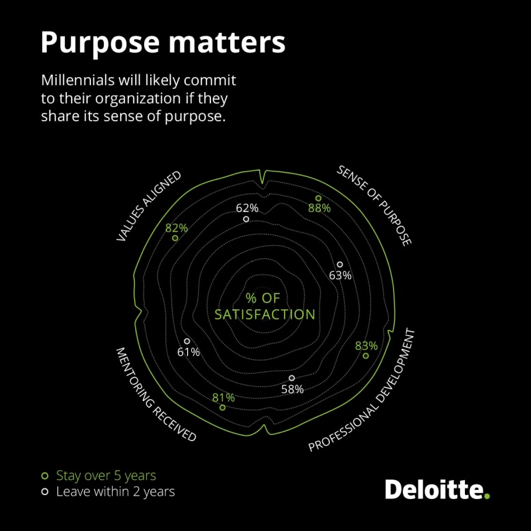 A study by Deloitte revealed that only 28 percent of Millennials are planning to stay in their job longer than five years, and 66 percent plan to leave their job by 2020. If you have been wrestling with the question, “Should I quit my job or stick it out,” consider this checklist of seven reasons why quitting your job is not only okay, it may be your best move. #1: Do you have a better opportunity lined up? One of the best reasons why quitting your job is okay, is if you are moving on to the next step in your life journey. If you have another job to move onto, quitting is obviously ideal because you have no gaps in employment, continue to make a salary, and are able to show progression in your career. But moving on to another job, might not even be the best opportunity ahead for you. Many Millennials are quitting work to pursue other interests and different ways of working before they are weighed down with the responsibilities of a mortgage or family. Your better opportunity may be the chance to travel, go back to school, start your own company, or join the “gig” economy. Only you can know where your best path lies. #2: Are you unable to effectively job search while holding your current position? Is there another position or role at your current company that is better suited for you to switch to? Is it really your job that is making you unhappy or might there be other activities outside of work that can make your life seem more fulfilled? Will you have enough money to support your lifestyle for the next 3 months or more while you find a new job or source of income? Are you able to take a leave of absence or make a flexible work schedule that will either give you the reprieve you need or the time to search for a better job? Unless you have an understanding boss who is supportive of your career move, you may need to quit your current position to schedule interviews as your job search progresses. Job searching can turn into a temporary “full-time job”. #3: Is your job is negatively affecting your health or relationships? Do you work in a stressful job or have a toxic workplace environment that makes you hate to go to work every day? Maybe you feel underappreciated, or have an inconsiderate boss who makes demands during your time off. If so, odds are good that the stress you feel will begin to affect your health and personal relationships. It is important to remember that while you need to pay the bills, you also need to have a positive quality of life. Quitting a toxic job may be the best solution, even if finances are temporarily tight while you search for something better. #4: Are your opportunities to learn and grow limited? A Gallup poll found that the opportunity to grow and learn is extremely important across all generations, followed closely by the quality of the manager /management. Opportunities to grow and learn were considered to be far more important in a job than a “fun” atmosphere, and even out-ranked compensation. If you are stuck in a dead-end job that does not provide you with the chance to learn and grow in your career, quitting your job may be your best move. #5: Are your and your company’s values incompatible? If your company is engaged in behavior that you believe is illegal or unethical, the question you should be asking yourself is not “Should I quit my job,” but rather “What am I still doing here?” This includes behavior that may be legally acceptable but incompatible with your personal values, such as cutthroat tactics with competitors or business practices that harm others. If you find that your company’s values are far out of alignment with yours, you may be happier if you quit and work for a company whose business practices are more in line with your personal ethics. #6: Are you being underpaid? Quitting your job will leave you with even less money in the short term, of course, but it may be necessary if you are not being paid what you are worth. Compare your compensation to make sure your expected pay is realistic once you take your education, geographical region, and other factors into consideration. It’s a good idea to speak to your employer and try to renegotiate your salary as a first step. If your company is not willing to pay your true market value, it may be necessary to quit your job for a better paying one. #7: Do you have three to six months’ worth of savings? While conventional wisdom holds that the answer to the question, “Should I quit my job without another job,” is always no, there are times when waiting until you have another job simply isn’t feasible. Before you make the decision to leave your job, make sure you have an emergency fund that will cover at least three to six months’ worth of expenses. This will give you some breathing room to search for a new job without panicking. Quitting your job can be a difficult step, but there are many reasons why it may be the best path for you to take. 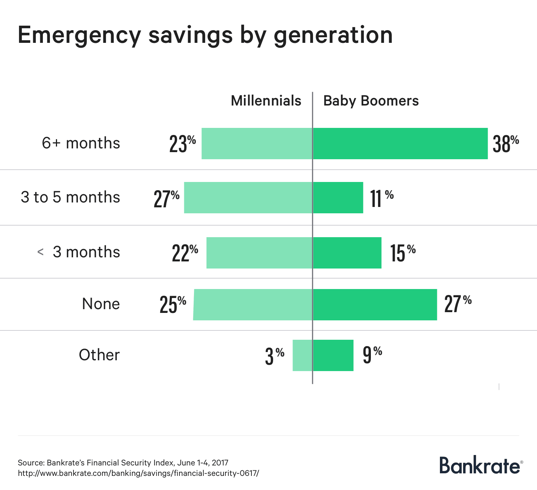 If you would like some help creating an emergency fund or figuring out how to budget for expenses so you can quit your job while meeting your bills, reach out to financial advisor Matt Logan at www.MattLoganInc.comor call at 336-540-9700.